OC Remix, the leading site for videogame music remixes, celebrated its tenth birthday this week. OverClocked ReMix, or OC Remix for short, turned ten this Friday. Started by David "DJ Pretzel" Lloyd in 1999, OC Remix describes itself as "an organization dedicated to the appreciation, preservation, and interpretation of video game music" and was responsible for the remixed soundtrack in Super Street Fighter 2 HD Remix. "When I started this site in my parent's basement back in 1999, I thought it would be a fun diversion that could help me get better at making music, but also serve as an outlet for VGM fans everywhere to pay homage to their favorite songs," said Lloyd. "While I didn't have any idea it would become what it is today, I did have a certain faith - faith that there were others like me, faith that the Internet was full of a lot of talented people who would contribute their music and their time and their energy freely, and faith that we could show the world that video game music is an art form." 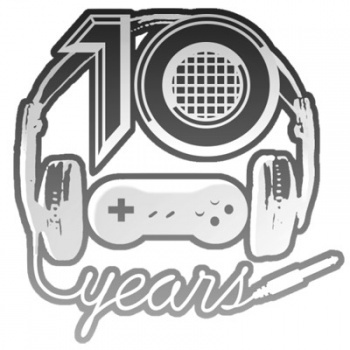 To celebrate the anniversary, the site released ten mixes from ten different artists based on ten different games. You can check them, and a great many others out, here.